Quibdo is one of Colombia’s most isolated cities. It is located on the bank of the Atrato River which snakes through virgin jungle leading to the Caribbean Sea and which at one time was considered as a possible route for a canal passing through the Americas before the Panama canal had been constructed. Although situated just a 25 minute plane ride from Medellin the two cities appear as if they were from different continents let alone from the same country. 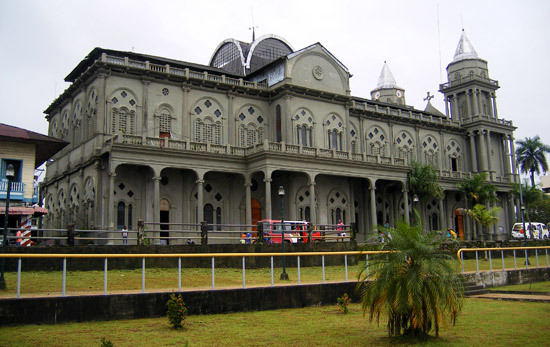 While it is capital of the department of El Chocó and officially a city, it bears much more resemblance to a large town. Pretty much only the city centre has paved streets and concrete buildings, with the outskirts formed of dirt tracks and shacks made of wood or corrugated iron. There is no decent water or sewage system in place to the extent that despite being in the wettest region on the planet there are sometimes droughts here as stored water quickly runs out! Most hotels in the city are fairly basic, although not necessarily uncomfortable. The best place I've stayed in Quibdo is Hotel Angeles. It is located near downtown in a very secure area with a large police station nearby. Tourist attractions in Quibdo are few and far between. The Cathedral is probably the biggest landmark, sitting on the bank of the Atrato River. From the cathedral it is worth taking a stroll into the small downtown area to visit the colourful markets and simply to people watch. Most essential such as banks, restaurants, and small stores. It is possible to go outside the centre into some of the poorer areas, but do so with caution. If possible go accompanied or at least check at your hotel or ask a police officer to make sure the area you intend on going is ok. The one massive reason to visit Quibdo is the festival of San Pacho. For a few weeks in September each year the city is awash with music, dancing and colour. It is kind of a mini Rio de Janeiro carnival; just crazier, and in the jungle! Each neighbourhood in the city takes its turn to parade through the streets with their particular version of dancing and music. Some of the costumes are incredible! An important aspect of the parade is known as the 'Bunde'. Behind the procession, people dance along drinking rum and aguardiente, dancing and jumping into each other. And you can guarantee that if you're the foreigner in the group, you'll have a never-ending stream of alcohol coming your way! So make sure you don't do a 'Bunde' on an empty stomach! Quibdo and a large part of Choco also continue to suffer from the presence of guerrilla group 'The FARC'. Guerrilla related murders and kidnappings continue in this part of Colombia and tragedies continue to occur on a regular basis. That said the city has a strong army presence and you shouldn’t experience any problems if you stay within the city boundaries. The security situation is constantly changing, so it's best to ask the police / military for advice on whether any of the towns around Quibdó are safe to visit. The few foreigners who travel to remote towns and villages tend to be with aid organisations and are supposedly protected from the guerrilla. It’s also quite common to see official UN World Food Organisation cars bumping along the city’s streets. Despite the problems of violence, the people here are incredibly friendly and welcoming of tourists. They are very proud of their city, but also accepting of its flaws. The biggest criticism people in this city have is corruption. A lot of the money the city receives from the capital has a habit of mysteriously disappearing. An example of this is the road that has been planned from Quibdo to the pacific coast. The plan has existed for years, but money has vanished and the road has barely been started. 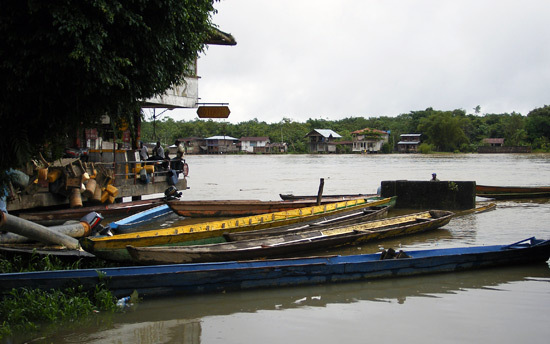 You may be interested to read about other places of interest in Choco Colombia.